Here's what is on my design wall this week. 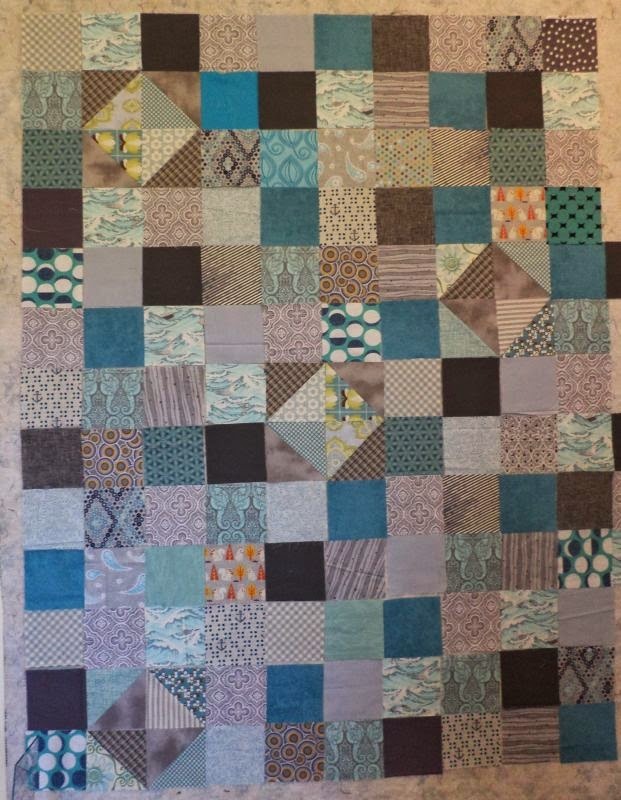 It's a scrap quilt using turquoise and grey squares and HSTs. I blatantly copied this design from Cynthia at Quilting is More Fun Than Housework, who is a scrap quilting genius! This is part of her series of "A Scrappy Quilt Every Month" tutorials. 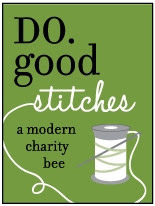 Linking to Judy at Patchwork Times and Oh Scrap! at Quilting is More Fun Than Housework. I love those diamonds peeking out. I love the colors in your version! I blatantly copy Cyndy as much as possible!!! I love that layout and hope to make one very similar to hers and yours. The HSts are like a little surprise here and thre throughout the quilt! What a wonderful surprise to see your version - I love it. And you put it together so quickly! Thanks so much for sharing this week on Oh Scrap! I love it when I inspire others to use their scraps! I love the placement of your triangles!